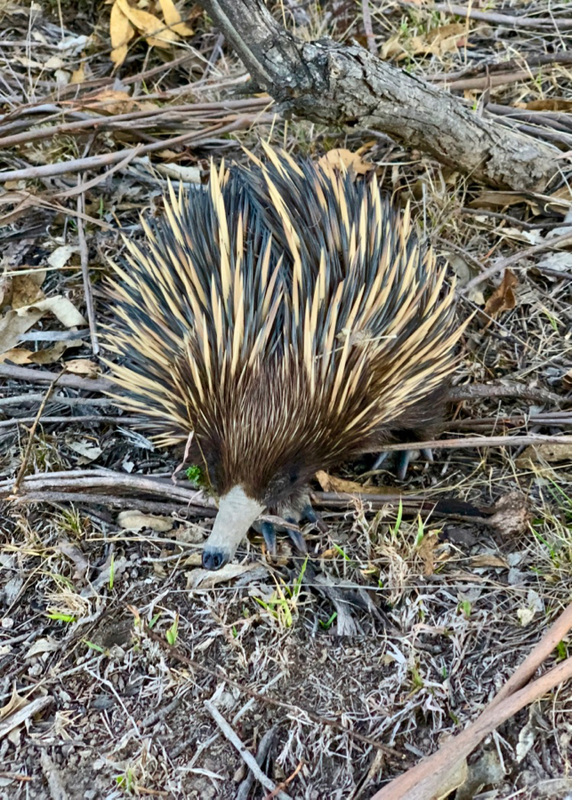 The dogs and I see echidnas relatively regularly on our afternoon walks around our property. They usually hear us coming and start burrowing under leaf litter, or hiding behind fallen timber. This one, though, came across to say hello.